Meeting at Petra’s were Gerhard, Lorna, Hans and friend Derek from Calgary, Mike, Roger, and Terry, recently returned from his Florida holiday. Leaving at 8:00am to meet the others in Richmond, valuable minutes were lost on a detour due to someone, who shall remain nameless, having forgot to bring his binoculars (on a birding trip??). The plan was to make a few stops along the river until reaching the primary goal at Garry Point. As it turned out the stops made up the interesting part of of the trip and Gary Point being a disappointment. At the south end of #5 Road in Richmond we met up with the remainder of the group, Anne and Ken, Donna, Marion, and our new regulars Janet and Bryan, for a total of thirteen. It was overcast and around 4 degrees, and there wasn’t a lot to see on the river. A few Red-breasted Mergansers, Double-crested Cormorants, a distant view of a few Red-throated Loons and Pacific Loons in their winter plumage, and a variety of gulls were about. A few stops along the river yielded little else until we reached Finn’s Slough where we stopped at the end of the dead-end road and walked back to the squatter’s shacks. In the trees across the slough we sighted a few Downy Woodpeckers, and several Northern Flickers. Flying overhead, and croaking, were a pair of Common Ravens. At a feeder at one of the classier shacks were some female Red-winged Blackbirds, Black-capped Chickadees and Golden-crowned, Song and House sparrows. On the land side of the dike road we were treated to a small flock of Golden-crowned Kinglets displaying great views of their crowns. Lots of Mallards, Pintail and Wigeon were in the grass fields. All along the ride we saw Bald Eagles, Red-tailed hawks mobbing the eagles, and Northwestern Crows mobbing the Red-tails. At one point a number of Brewer’s Blackbirds, and European Starlings lined the overhead wires. Stopping at a woodlot on the one inland detour we were stymied except for a few Golden-crowned Sparrows. Back on the dike road near Gilbert, Janet heard a Pacific Wren but we were unable to locate it. However, at the same spot we did spot a pair of Downy Woodpeckers. Probably, the highlight of the Gilbert Road stop was the sighting of the public washrooms which, according to reports, proved a challenge to some in trying to exit the stalls. 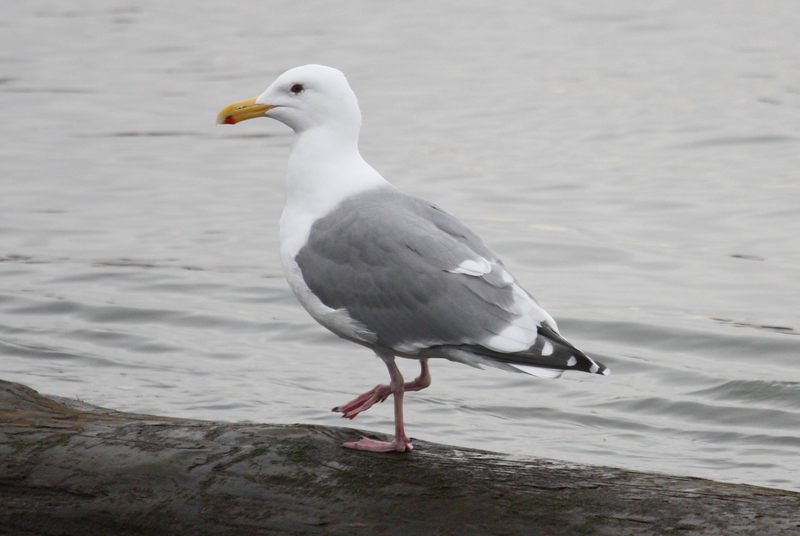 Again, names will not be revealed to prevent embarrassment to L. We did see, though, a clearly identifiable Thayer’s Gull in fresh adult plumage . 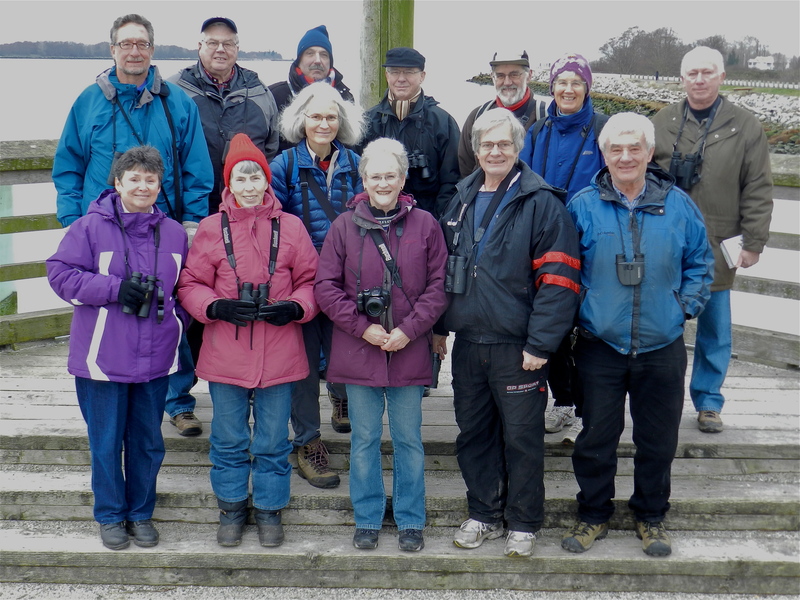 Seen from the boardwalk were some Common Goldeneye, more Red-breasted Mergansers, American Wigeon (no Eurasians today), Mallards, and, sighted by Janet but alerted to all by Lorna, a distant (very, very distant) Belted Kingfisher. Also, a distant group of four Western Grebes. Some additional loons were also seen, probably Pacific and Red-throated. At this point leadership was relinquished to Donna who, with extensive local knowledge due to her living in the area, was able to point out the hidden areas where we found Common Mergansers, Gadwall (we’ve seen very few this month), Green-winged Teal, American Coots, a few Canada Geese, Mew Gulls, and another Thayer’s. With Donna, we walked the boardwalk along the Britannia Shipbuilding Heritage Site until we were almost in downtown Steveston. 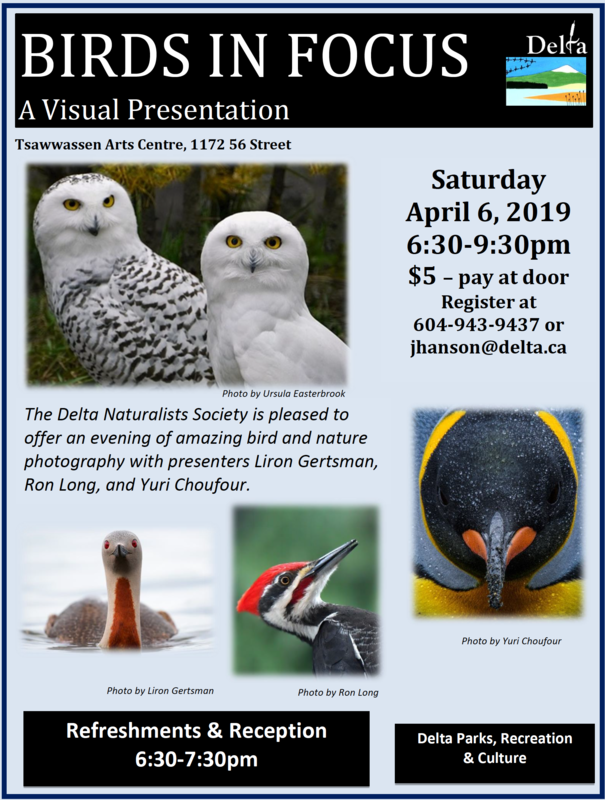 And, even though we never did find Donna’s promised Pied-billed Grebe, we got to see that part of Steveston that few had been aware of… thanks, Donna! With time running out we drove over to Garry Point for the highlight, destination area… nothing! Just a few gulls, and Northern Harriers. All, in all, a pretty good day and the predicted rain never materialized. 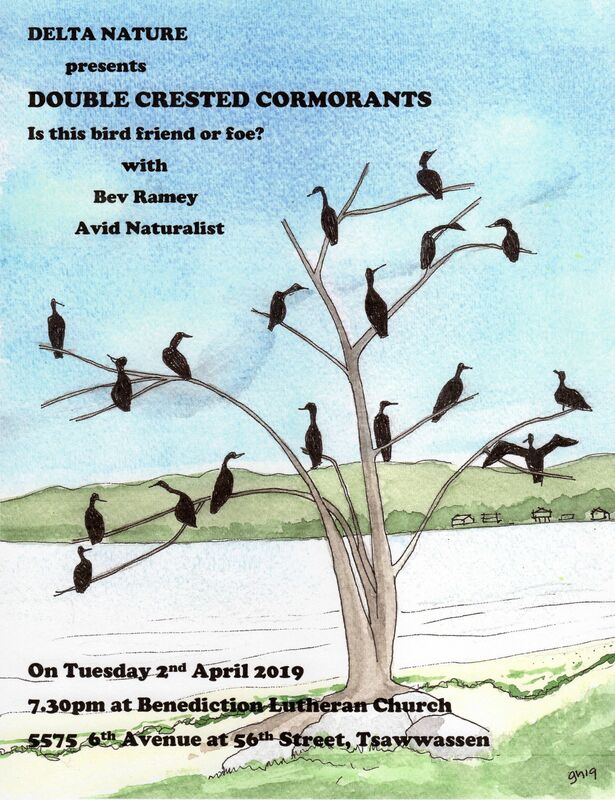 I’m sure there have been birds I’ve missed as I lack Tom’s photographic memory, so please add any you can remember, correct any errors and I’m sure Ken will add the group photo taken at the Gilbert lookout. 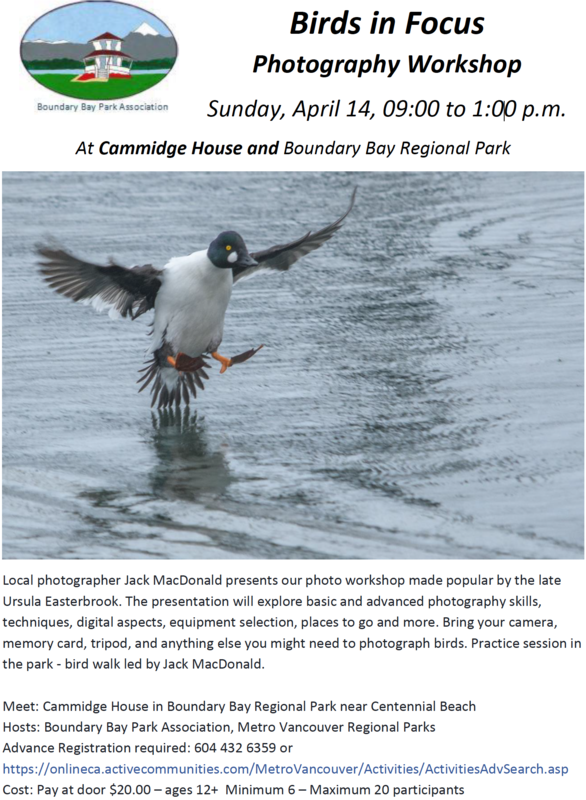 Also, anyone with good photos of the birds, please insert them into this blog or add them to our Picasa site http://picasaweb.google.com/dncbirding. Next week will be a local trip with the usual meeting at Petra’s at 7:30am for a departure at 8:00am. For those who do not know Petra’s, it is a coffee shop on the south east part of the mall at the south east corner of 12th Ave and 56th St. in Tsawwassen. 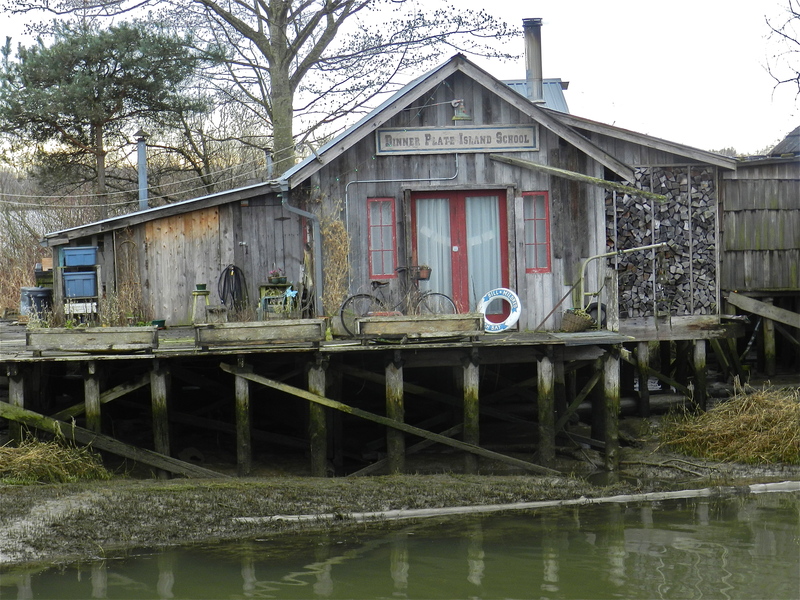 This entry was posted in *DNCB, Finn's Slough, Garry Point, No.5 Road, Richmond, Steveston. Bookmark the permalink.